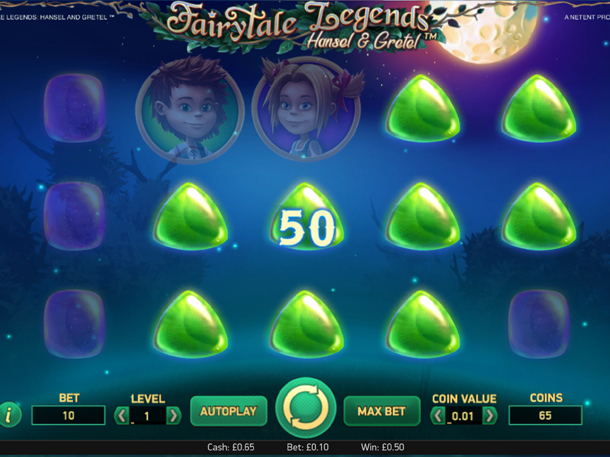 Experience the tale of Hansel and Gretel Slots in this Netent slot. As part of the Fairy Tale Legends series, it provides a wonderful re-telling of the classic children’s story. 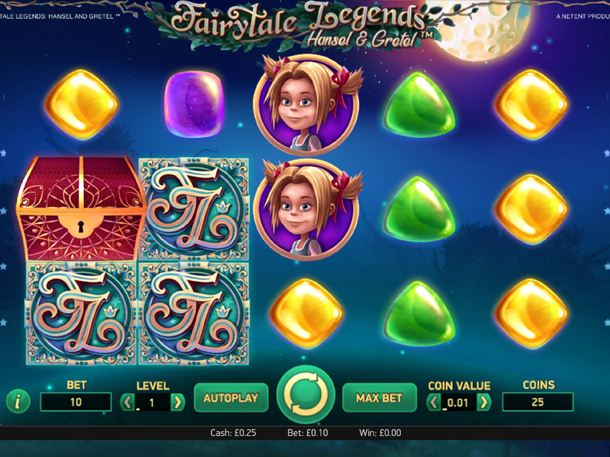 Not only that, but you’ll find a great range of special features in the slot as well, including stacked wild re-spins, random feature and the Fairy Wonder spin. 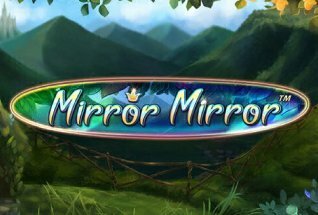 We can honestly say, that of all the series of games that Netent has released, the Fairytale Legends selection is shaping up to be one of the best. This offering, telling the story of Hansel and Gretel, contains some wonderful graphics and gameplay. And not only that, but there’s an immense amount of bonus features for you to trigger as well. 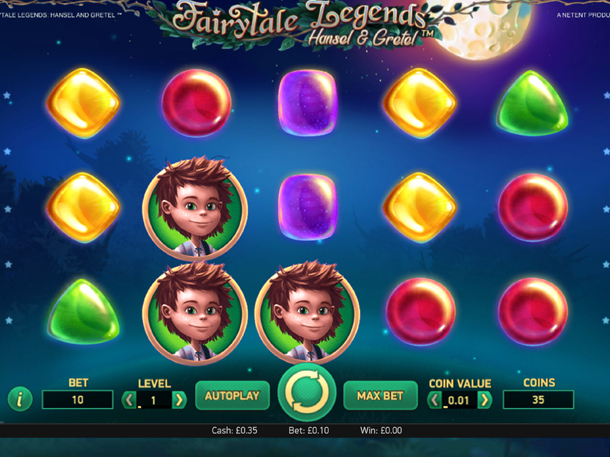 Looking at the design of the game overall, it contains a total of five reels and three rows – a standard enough gaming interface. As well as this, there are 10 separate bet lines in the game for you to place wagers on. And these lines are all set in place as well. However, you do have the option of customising your bet per spin. Simply make use of the arrows at either side of the ‘Coin Value’ box first of all. This allows you to choose from coin values between £0.01 and upwards to £2 per line. Then, you can change the bet level between one and 10. This means that you have a maximum overall bet possibility of £200 per spin. As soon as you load up the game, you’ll get to see its wonderful range of graphics. The background of the slot presents a night sky, with Hansel and Gretel making their way towards a dark forest. Then, upon the reels is where you will find the various symbols. There are four rocks in different colours appearing as icons. One purple, another green, a third in yellow and the last in red. Each of these can multiply your wager by up to times 40. Both Hansel and his sister Gretel also make appearances on the reels as standard ions. Finally, the ‘FL’ (standing for Fairytale Legends) logo is also a basic icon. It can multiply your wager by up to times 400 as a pay out! As we said earlier, there are many special features in this slot game. And these start with the inclusion of the Stacked Wild. This comes in the form of the red-stone pathway. Stacks of these wild icons can appear on reels two and four in the main game. Whenever they do, they will substitute for all other icons to begin with. If the stack covers the entire reel, a re-spin is given to you. This can also see the wild stacks show up on reels one and five. Fairy Wonder Spin. This sees a cluster of between five and nine logo icons appear as an overlay on the reels for a single spin. Fairy Surprise. This can come into play at random whenever a no-win situation occurs during the main game. A symbol will randomly be selected after the spin. 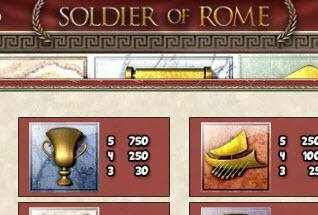 Other icons, starting with the low win icons, will transform into this chosen symbol. Fairy Wild Spin. During this feature, two full stacks of wild icons can randomly appear on reels one, two, four and five. After the reels stop spinning, a Stacked Wild Re-Spin is given to you. Candy House Bonus. This is a pick ’em round, with each item providing a certain multiplier. Freespins. 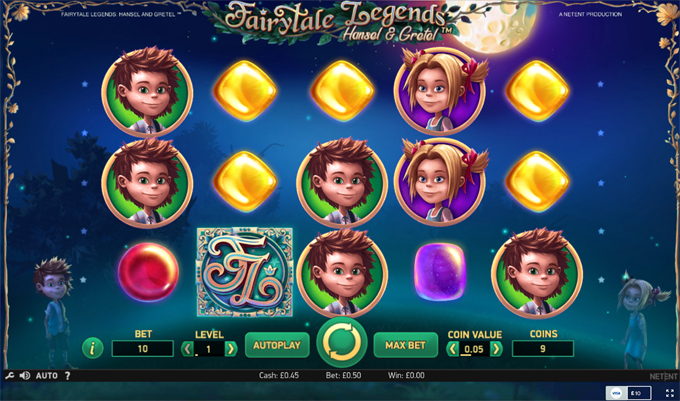 This provides you with 10 freespins in total. Coin Win. 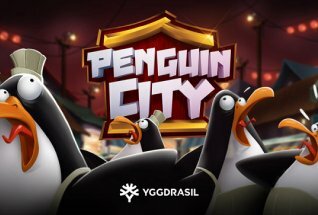 This gives you a coin win which is equal to your current bet times by 15.